This dish belongs to Shandong cuisine. 1. Cut tofu into slices. Tofu should be firm one so it won’t fall apart during cooking. Silk tofu or egg tofu are too fragile. 2. Dust tofu with flour. Then dip tofu in beaten egg. 3. Heat oil in the pan. 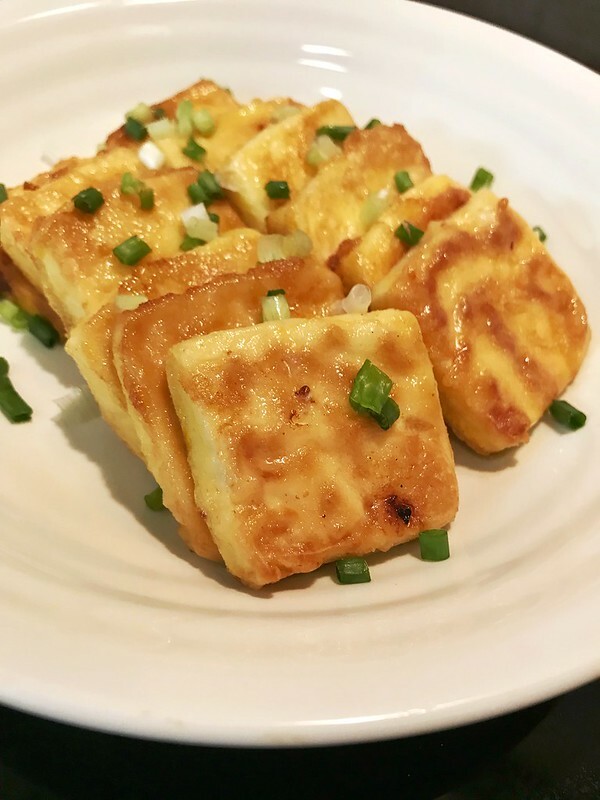 Fry tofu till golden color. 4. Add in 1 tsp sweet cooking wine, 1 tsp light soy sauce and 1/4 cup warm water or stock. Simmer for a while or till the water reduces. 5. Season with salt and drizzle a little sesame oil. 6. Garnish with chopped spring onion and serve hot.